Big data analytics is the often complex process of examining large and varied data sets -- or big data -- to uncover information including hidden patterns, unknown correlations, market trends and customer preferences that can help organizations make informed business decisions.. See complete definition. 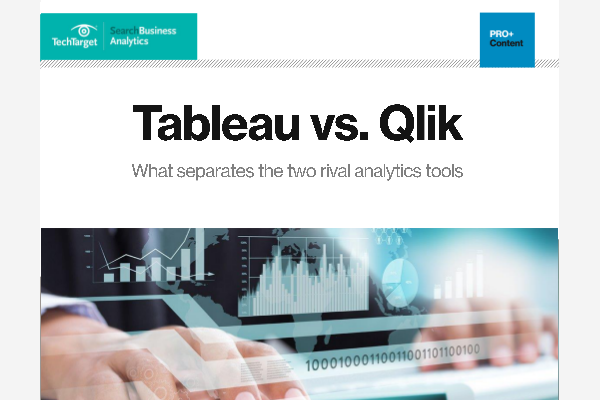 What’s the difference between Tableau and Qlik Sense? Designed exclusively for decision makers like you, this expert guide explores the pros and cons of both tools. Learn how they compare in 4 critical categories. New Google Cloud boss Thomas Kurian is putting databases and data management at the forefront at Google. The vendor has forged key data deals, showing a more mature Google Cloud. Events are as important as data in emerging applications underlying many e-commerce efforts. Streams of events tell a company what motivates customers to use online products. On the eve of Google Cloud Next '19, experts assess the impact of Google's BigQuery ML since its release and their hopes for the automated machine learning tool's future. With the Equifax-FICO alliance, the credit giants are offering a combined Data Decisions Cloud suite they hope can solidify their place in the alternative data market.